The suspect was reported to have fired several shots, striking the trooper. Trooper Conner died later on Wednesday morning of his wounds at the hospital. 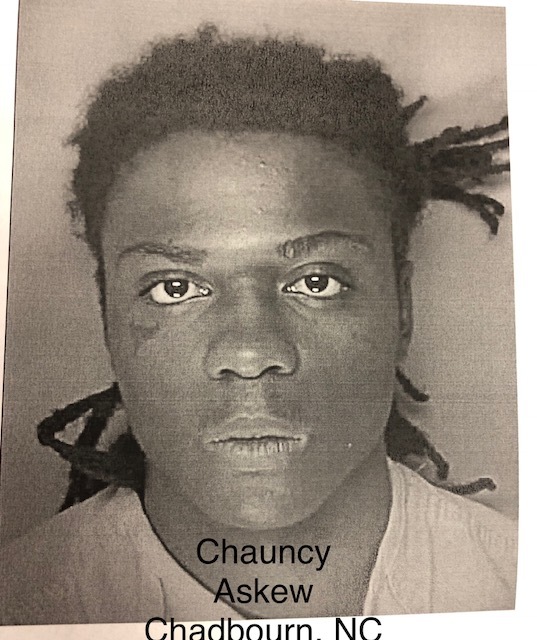 The first suspect arrested in the shooting was Raheem Davis, 20, of Chadbourn. Davis is charged with first degree murder and is being held without bond. 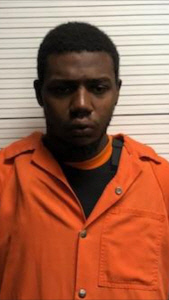 A second alleged suspect, Chauncy Askew, 18, of Chadbourn, was arrested near Loris, South Carolina early Tuesday morning (October 23rd), according to District Attorney Jon David. 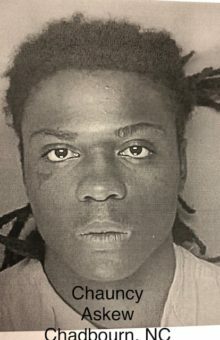 Askew is being held at the J. Reuben Long Detention Center in Conway, SC, where he is awaiting extradition proceedings. Askew is charged with one count of first degree murder. David said there will be no first appearance today (Tuesday) for Askew. Once Askew has returned to North Carolina, a first appearance hearing will be scheduled. He declined to discuss Askew’s exact involvement with the case. 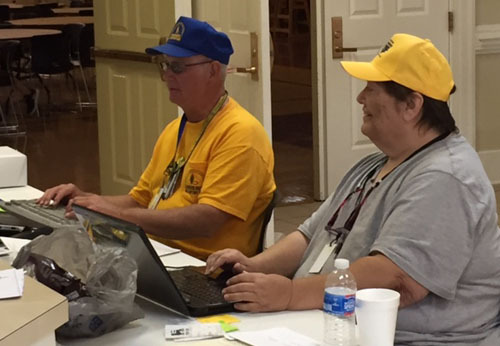 “I want to assure everyone that we are coordinating with our partners in South Carolina,” said David. 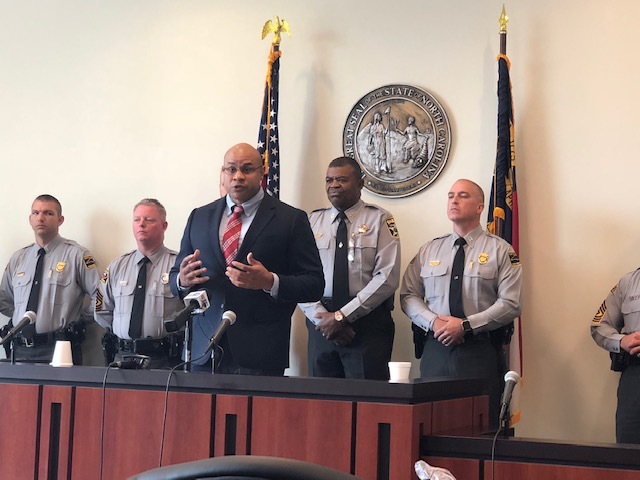 The North Carolina State Bureau of Investigation, the Columbus County Sheriff’s Office and the North Carolina Highway Patrol have been involved in the investigation. David said during the course of the investigation into the shooting it was learned there were two individuals in the pick-up truck. When asked for a timeline of when investigators learned about Askew’s involvement, David declined to comment. David said that is an aspect of the case that he cannot discuss citing ethics rules. 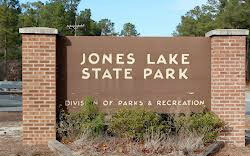 He added investigators were very concerned about Askew and the fact he was involved in the murder. David stated investigators also have the dashboard camera video and the video footage from a nearby convenience store. He declined to comment further about the content of the videos. The videos have not been released at this time. 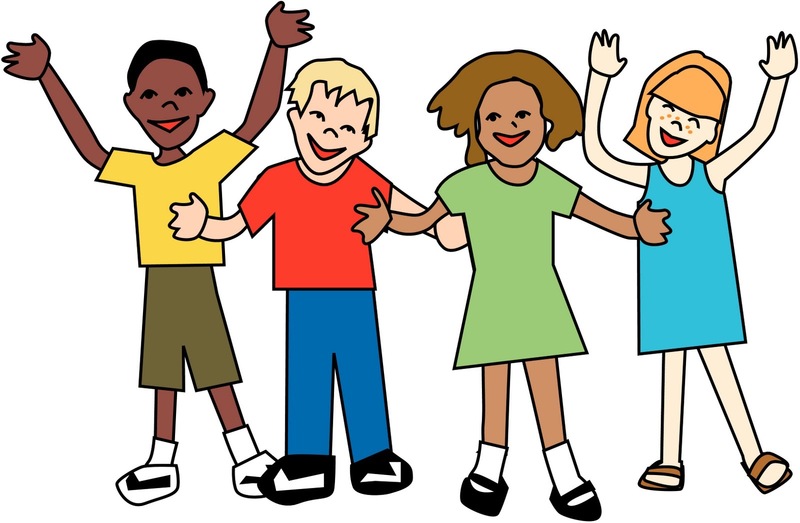 When David was pressed once more about a timeline on when investigators learned about Askew’s involvement, he once again declined to discuss exactly when or how investigators became aware of Askew. When asked if investigators have located the murder weapon, David refused to comment. “We are committed to see justice done,” said David. Askew has been arrested previously and charged with felony armed robbery to which he pleaded guilty in October 2017. David said because both suspects in the case have been convicted of prior felonies, there could be forthcoming charges of possession of firearm by a convicted felon. Askew and Davis could potentially face the death penalty or life in prison. 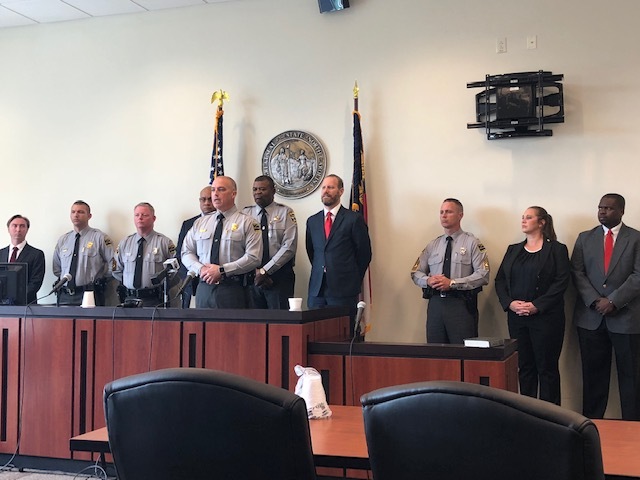 SBI Special Agent Kevin Tamron also spoke stating SBI agents arrested Askew in the early morning hours of Tuesday without incident in South Carolina. He did not elaborate further on the arrest. Sheriff Hatcher encouraged anyone with any information about the shooting to report it. 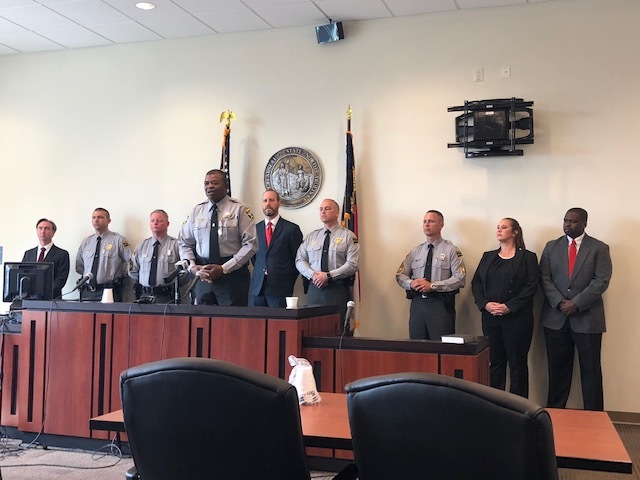 Captain Morton with the North Carolina Highway Patrol also attended the press conference. 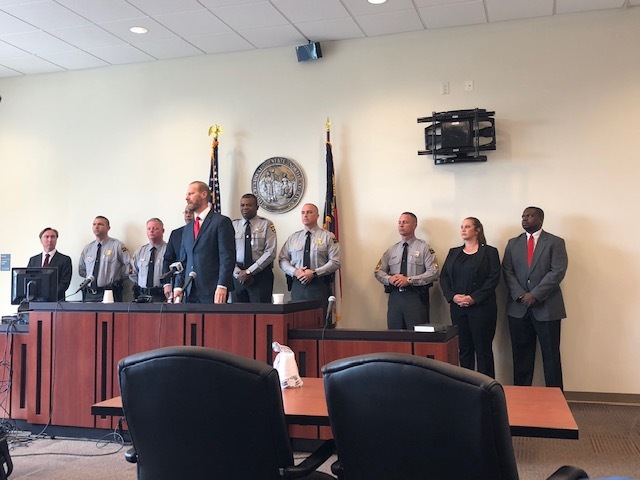 He said the Highway Patrol is grateful for all of the partnerships across various agencies that have come together for this investigation and to support the members of the Highway Patrol. “We are going to go forth and do what we are called to do,” said Capt. Morton. Sheriff Hatcher, NCHP Captain Morton, nor SBI Special Agent Tamron took questions.